With a traffic of four million and page views of over 12 million a month, it's no secret that MissMalini is India's most influential blogger. She's also social media Jedi with 691K FB fans, 622K Twitter followers, and 104K Instagram followers! But Malini's real success lies in how her blog offers fresh-off-the-press content, with a special focus on entertainment. From behind-the-scenes specials during the making of big blockbusters, to Ranvir Singh's latest DubSmash endeavours, MissMalini's blog has practically rendered tabloids redundant! 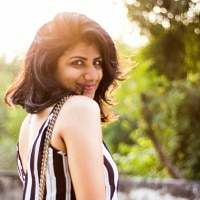 Then there's the fashion and beauty stuff, all in Malini's signature 'instant upload' style. "I felt like there wasn't any platform for the voice of the urban youth that follows London Fashion Week and dances at their best friend's wedding with equal panache," she says. Her show, MissMalini's World, on TLC, is an extension of this philosophy. As Cosmo goes to print, the media maven is currently figuring out the details of the third season of her TV show, while expanding her empire to Dubai. Remember: you read it here first!